I have been nominated by the wonderful Manisha from Escaping through Ink. Thank you. 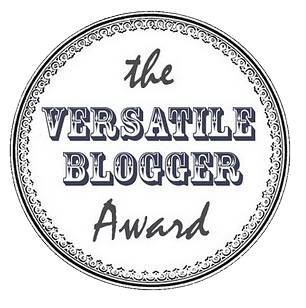 If you are nominated, you have been nominated for the Versatile Blogger Award. 1. Show the award logo on your blog. 4. Give 7 random facts about your self. 1. One of my new favorite anime is Corpse Princess. 2. My favorite song right now is Rocking by Teen Top or King for a Day by Pierce The Veil. I can't choose they are both really good songs. 3. I like to draw cartoons and anime. 4. My favorite anime when I was in middle school was Naruto. 5. I know a little of Korean, Japanese, Italian, Spanish, and German. 6. My favorite animals are dogs, cats, dolphins, tigers, and lions. 7. My favorite colors are hot pink, black, purple, and red.